Caribou – Jeanne (Cyr) Beaulieu, 86, died June 2, 2018 at Caribou following a period of declining health. She was born in St. Andre N.B., Canada, May 5, 1932 the daughter of the late John O. and Alfreda (Parent) Cyr. Jeanne attended the St. Leonard schools and finished her college in Moncton, N.B. 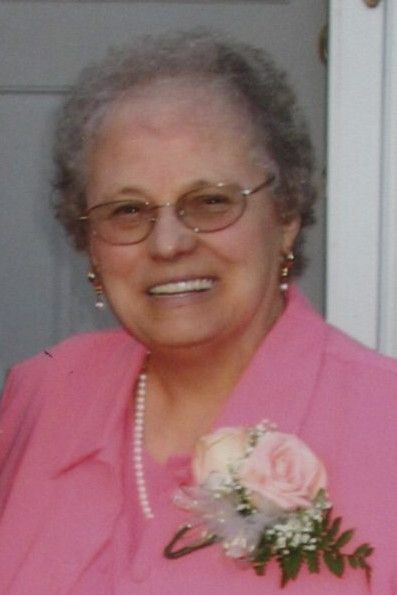 She was a long time faithful member of the Holy Rosary Catholic Church where she was a member of the Ladies of St. Anne and the Daughters of Isabella. During her time with the Daughters, she founded the Layette Program for newborn infants at Cary Medical Center. Jeanne married Eudore Beaulieu October 18, 1954 and was a loving and devoted wife, mother and grandmother to her family. Surviving in addition to her husband of over 63 years, Eudore of Caribou, are her children John Beaulieu and wife Celeste of Epping, N.H., Gale Smith and husband Steve of Loudon, N.H., and Lisa Wunderlich and husband David of Rochester, N. H., her beloved grandchildren Eric Beaulieu, Jill Orndorff, Andrew Smith, Sarah and Nathaniel Wunderlich, two great grandchildren Dylan and Tyler Orndorff. Special cousin Nicole Levesque as well as many special friends. Friends may call at the Mockler Funeral Home, 24 Reservoir Street, Caribou 9 a.m., Tuesday, June 5, 2018 until the time of service. A Mass of Christian burial will be celebrated 11:00 a.m. from the Parish of the Precious Blood, Holy Rosary Catholic Church. Following the services all are invited to a time of continued fellowship and refreshments at the Parish Center. Interment will take place at a later date.